Fill a tall glass with ice. 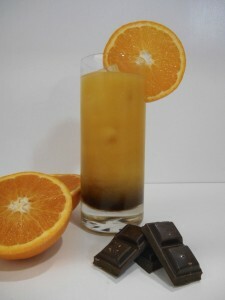 Pour in equal parts Hunter Distillery Choc Orange Liqueur and orange juice. Stir and enjoy.